How lucky are we... 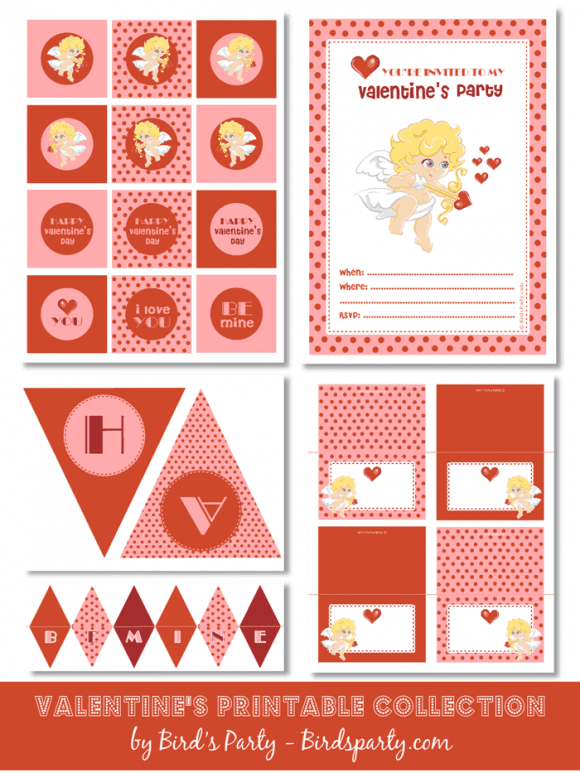 The famous Bird of Bird’s Party created another adorable collection of Valentine's Day party printables for us. I'm calling this our "Sweet Cupid" collection as I'm sure you can see why. 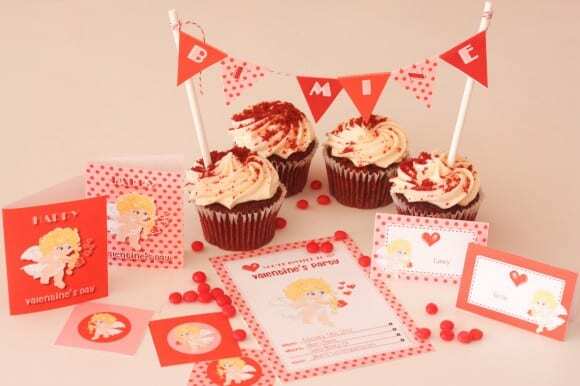 The collection includes: editable invitations (where you can type in your own info), editable tented cards, party circles, "Be Mine" mini cake bunting, sweet Valentines, and a "Happy Valentine's Day" banner. DOWNLOAD THE HIGH RESOLUTION FILES FOR PRINTING: IMPORTANT!! You will need the following password (case sensitive) to open the PDFs after download: party. Thank you, Bird, for such cuteness! To learn more about Bird and see all her designs, please check out her shop, Bird’s Party. Also, for more Valentine’s Day inspiration, check out these great parties from our site. Great party pack! I'm featuring you this week in a Valentine's printable post that I'm doing. Come by on Wednesday to check it out, and grab my featured button if you'd like one. I have typed and coped and pasted the password and It will not let me download says password is incorrect no matter how I do it. I cannot seem to get the password to work to download the free Valentines bird party package. I even tried cut and pasting the password. nothing worked. The password is "party" and it's case sensitive. Thank you for the great down load. Just love the Ideas you come up with. 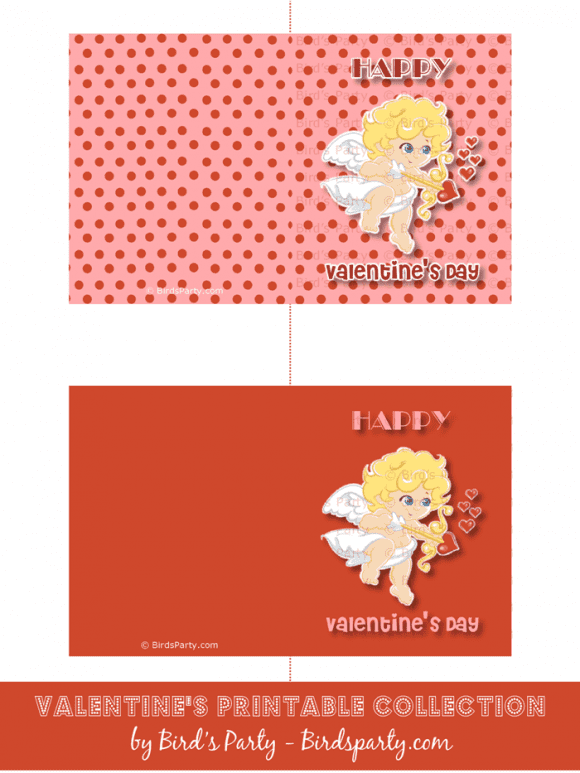 I really loved this Valentine's printable, but I couldn't unlock the package! I tried the password "party" several times and it doesn't work! Is there any other possible way to get it, please?!? Thanks a lot! Is this not available for download anymore? A blank screen comes up when I click to download. Thanks!